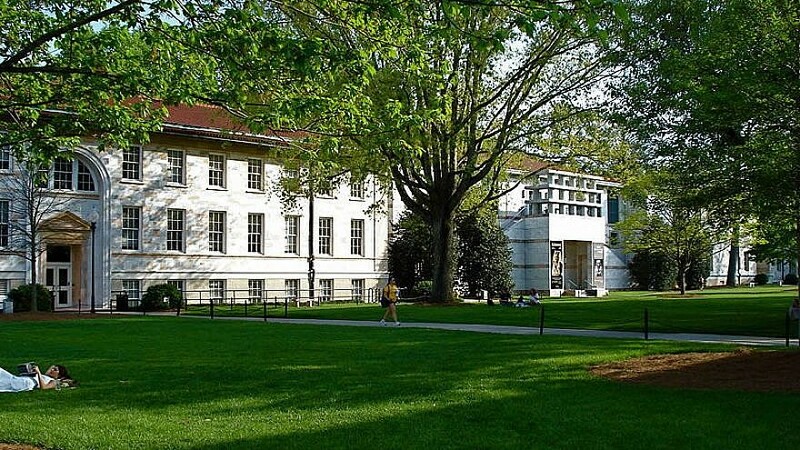 The main quad on Emory University’s primary Druid Hills Campus in Atlanta, including the Michael C. Carlos Museum at right. Credit: Wikimedia Commons. (April 4, 2019 / JNS) Mock eviction notices were found outside dorm rooms at Emory University in Atlanta, stating the dormitory would be demolished in three days, apparently by the school’s Students for Justice in Palestine chapter to teach a lesson about “the destructive policy of Israel, toward Palestinians,” which includes Israel’s razing the homes of terrorists and their families. The university and Emory Hillel said they discovered no proof that Jewish students were targeted by the flyers. Emory Hillel director Dave Cohn told The Algemeiner that he was “not prepared to reach a definitive conclusion” regarding the situation. “While we support the right of every student in our community to express themselves freely, foremost in our response has been defending the safety of our students from this intrusion on their privacy and security,” wrote Cohn in an email to the Hillel community. In a statement, Emory said that “while a student group received permission to post the flyers, they did not comply with posting guidelines, and the flyers were removed,” as they were on student dorm-room doors without their consent. Such eviction notices is a tactic for anti-Israel groups on college campuses. In 2014, they appeared at schools such as Binghamton University, Harvard University, Northeastern University and New York University. AMCHA Initiative co-founder and director Tammi Rossman-Benjamin she previously told JNS that the notices don’t seek to “improve Israel as a modern state” or “legitimate criticism about settlements, the Likud government, or any particular aspect of Israeli policy,” as those behind the mock evictions purport. “That, in of itself, is the key to understanding the difference between legitimate criticism of Israel and anti-Semitic criticism of Israel,” she said.